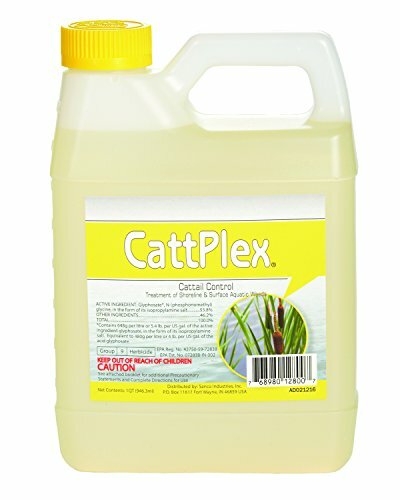 Catt Plex is an aquatic herbicide used to kill emerged pond weeds to the root. It is a glyphosate based herbicide. 1 qt will treat approximately 1/4 acre depending on thickness of weeds and type of weeds. This product is restriced in the following states: CT, HI, NJ, NY, OR, VT. If you purchase this product and live in one of these states your entire order will be canceled.